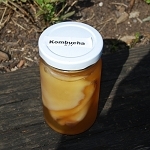 "Culturing foods (which is accomplished through the process of fermentation) is one of the oldest and most economical methods of preserving foods. 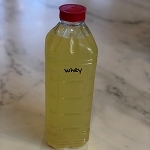 Fermentation is simply the predigesting of a food, which is more accurately called lacto-fermentation because the process involves lactobacilli (lactic-acid-producing bacteria). The lactobacilli convert the natural sugars and starches in fruits, vegetables, and dairy products into lactic acid. The lactic acid then goes on to preserve the food, enhance its digestibility, and encourage growth of good bacteria throughout the digestive tract while discouraging the bad. Finally, when consumed with other foods, the enzymes found in cultured foods improve digestion of the entire meal."